Scherning offers this Arrow Mint & Gold Stud Earrings. 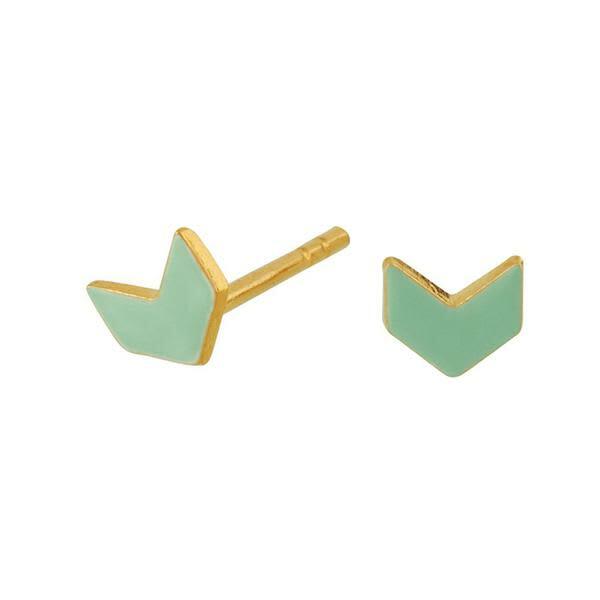 Features an arrow shaped studs in mint green with a gold plated finish. Comes in a branded box. ALC in Edinburgh, United Kingdom.